Ah, suburbia, stop signs, food stores, sunshine, family, safety, happiness! I love it here as does everyone else who understands how lucky we are…. We need to take a moment from our busy lives for gratitude…. We are fortunate: Fortunate that we were lucky enough to find ourselves in these positions because we are truly the 1%ers. 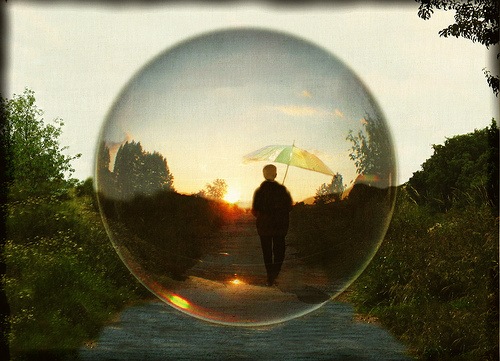 In our bubble, we have the ability to receive education, quality food, significance at work & at home, opportunities to advance our abilities, and to express our strengths for the greater good. We are not alone and there are many of us, however, not as many as we think…. The grass always seems greener on the other side because we are not playing on that grass, and we are looking through the lenses within our bubble. We watch Jersey Shore and complain about mundane stuff, but most of our kind is struggling. They are struggling to survive, to have a voice, to eat, to have freedom of thought, and to simply, possess control over their entirety. There are people exactly like you & I facing dramatically different situations, and would change positions instantly if given the opportunity. We are aware of this truth, but it is easier not to acknowledge the suffering of others because we perceive it as depressing… IT IS! Why should anyone suffer? Okay, true, but shouldn’t everyone have a chance to make it! To prosper & experience this good life! We sheltered ourselves by creating bubbles within more bubbles & we believe more bubbles will shield us from being in their position. The only way not to face situations outside of our bubble is to eliminate all inhumane suffering. Us 1%ers cannot do it alone, but the 99%ers need us to help! Remember: We are only a bubble away from joining their harsh reality – Wouldn’t it be better to join them in a new bubble?